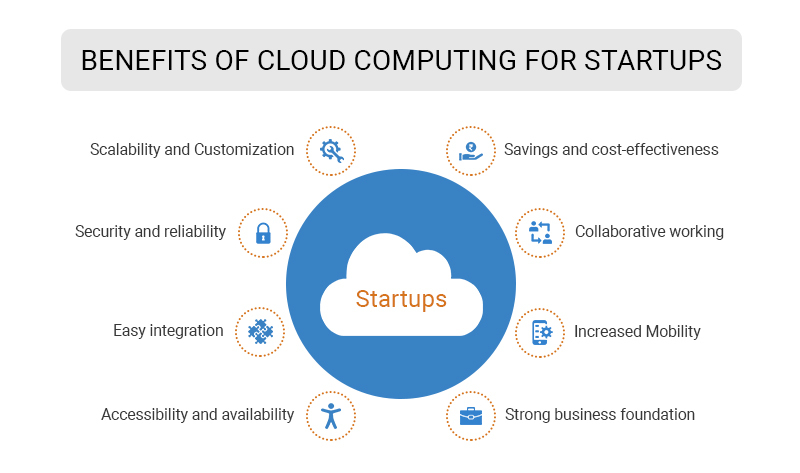 The global cloud computing market is now worth $180 billion in vendor revenues with the market still growing at 24% annually (source: Synergy Research). It’s extremely critical for organizations to carefully think through their cloud strategy as cloud gives even the small player the ammunition to overthrow the biggies in a short period of time. While planning for cloud migration you should take a holistic view of all the aspects involved in meeting the business and technical goals of your organization. After cloud readiness assessment and choosing a cloud partner, business needs should be evaluated, potential benefits should be validated, and a cloud migration strategy must be defined. 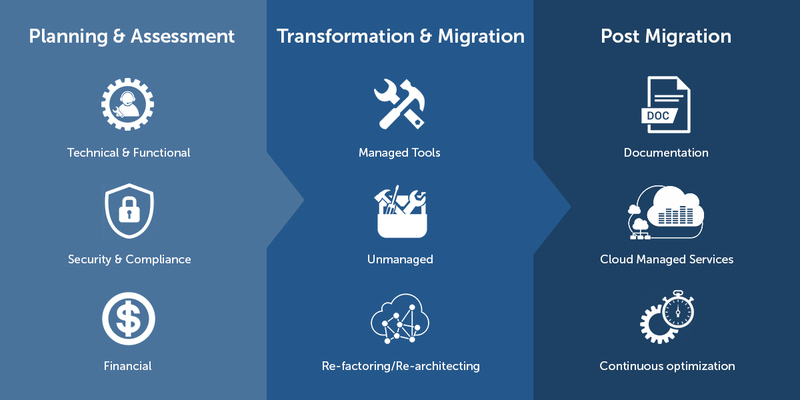 The migration strategy should encompass the business priorities, application usage scenarios, challenges, technology benefits, risks and challenges. Based on the cloud migration strategy, a roadmap should be designed which can provide detailed activities involved. As part of cloud readiness assessment, application architecture review would help in deciding the best suitable cloud platform or services to deploy the application. Based on the chosen cloud and technology matrix, cloud architecture should be drawn up in detail. Once the cloud deployment architecture is decided upon, a monthly estimate of the cost is calculated. With the estimated monthly spending a cost benefit analysis should be carried out in an objective way. This would be considered as the baseline and the variable parameters like storage, bandwidth should be defined with clear growth numbers. A detailed migration plan with the phases involved, application batches for migration, staging setup, data migration plan and testing plan should be abstracted. Once the basic cloud architecture is set up and required resources are provisioned, resources should be moved based on the identified priority and also applying the dependency constraint using varied tools. For e.g. Backing up VM and moving it to cloud or creating an instance on VM and then installation/ configuration of all the existing applications. Microsoft Azure and AWS have cloud migration tools which could help in easily deploying some applications to cloud. Microsoft Azure has a standard process outlined, read now. Review the technology stack to validate the compatibility of the application with the cloud. The changes that are identified as a result of this exercise and the best option should be agreed in conjunction with the customer. As a good base for reference, all the changes implemented, architectures, tools used should be documented to ensure everything is in place. The document should include information around security setup, database management, storage space, completeness of resource migration, data validation, application stability, BOM(monthly used services with cost), backup and DR policies, etc. As a best practice, keep the dynamic data close to compute and static data close to the user. This activity focuses on setting up the manageability aspects of the cloud environment. As a first, maximum process/activities should be automated for minimal manual intervention. Automation can be done in the areas of autoconfiguration, scaling, monitoring, backup, release & updates.e.g: Automation of scaling up your cloud instance when the average of CPU value 10 minutes is greater than 70%. Cloud monitoring is another key area that is important for cloud management. Implementation of monitoring at both infrastructure and application level should be done by leveraging the inbuilt tools offered by the cloud provider. There are a few cloud monitoring tools and management solutions which are designed to help create a more proactive cloud. Microsoft Cloud Monitoring – Using Azure cloud? Look no further, Microsoft gives you a full picture of your web app’s performance by providing log analysis, application monitoring, and security alerts. The best part is that these tools are built into Azure, so you don’t have to install any new software. Microsoft Cloud Monitoring is perfect for companies who want a simple solution for monitoring their Microsoft stack. Amazon CloudWatch – Amazon CloudWatch is a monitoring service for AWS cloud resources and the applications you run on AWS. You can use Amazon CloudWatch to collect and track metrics, collect and monitor log files, set alarms, and automatically react to changes in your AWS resources. Sysfore technologies manage cloud environment with a model around inputs from the client on appropriate up-time, DR strategy, resource usage, SLA based commitments, incident based response and resolution times. 64% of the time the cost changes and it is likely that the initial estimate might decrease or increase. A few reasons for cost change are increased storage space, data transfer issues, prolonged migration duration. Draft a revised bill of material to make sure the actual cost is in par with the initial cost estimate. Return on Investment (ROI) should be calculated to perform a cost-benefit analysis in an objective way. According to recent stats, it is estimated that by 2020, more than 1/3rd of the data will pass through the cloud. Well, it would be better to learn swimming than to sink. Sysfore, a Microsoft Gold partner, uses leading network, technology, and service expertise to deliver our service anytime, virtually anywhere, quickly and efficiently. We have helped over 80 small enterprises and 30 mid-sized enterprises across the globe for a successful cloud migration in the past 8 years. Contact one of our experts today and we will help you find the perfect solution for your business. Write to us at info@sysfore.com or give us a call at +91 (80) 4110 5555.